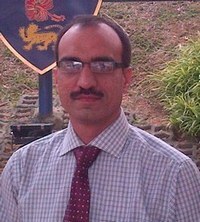 The mission of the Computer Science Department at CUI Attock is to provide degree programs and courses to meet the full range of needs of the talented students in the area of Information Sciences and Technology. Departmental programs are based on a common core curriculum and rationally demanding courses designed by leading experts that supports the breadth of the discipline. Courses in the core curriculum typically have a substantial faculty-directed hands-on component in the form of a regularly scheduled laboratory(s). It is a matter of pride and pleasure for me to introduce the Department of Computer Science, COMSATS Institute of Information Technology, Attock campus. Sitting squarely in the Faculty of Information Science and Technology, the department is focused on devising innovative, correct solutions to real life problems, while ensuring a level of excellence in the research and academia, providing world class learning environment. The Department of Computer Science (CS), CIIT has been ranked at 1st position in Computer Science and IT category,among all 132 universities of Pakistan by Higher Education Commission (HEC). © CS CUI 2019. All right reserved.